Ever dream of living on a quiet island in the middle of the Mediterranean? Not many places still offer this dream lifestyle, but I can tell you about one that’s dear to me—Northern Cyprus. Officially called the Turkish Republic of Northern Cyprus, this state occupies the northeastern portion of the island of Cyprus, which is located in the east of the Mediterranean Sea with Israel to the south and Turkey to the north. This is a sunny place, with between 300 and 340 clear-sky days a year. And when I say clear, I mean without one single cloud on the horizon… As you have already guessed, all this sun means it’ll get hot in August, and while it’s mostly dry, it can get humid occasionally. Let me describe the amazing people you’ll find here: The Turkish Cypriots are lovely, kind people who will do anything for you. I remember asking for directions at Kyrenia Harbor one day, and the store clerk walked outside with me, led me down the sidewalk, and pointed at the building I was looking for. Also, you should be ready for the European side-cheek-kiss-thing, sometimes even from the men. This is one of the lovely local customs that will help you grow to love these people as much as I do. History is all around you in Northern Cyprus. You’ll experience it everywhere and it’s old, really old. I mean Richard the Lionheart old, as he’s the one who conquered this land in the year 1191. Other notable historic figures who left their mark in this area are William Shakespeare, the Crusaders, the Romans, the Venetians, the Templars, and even Elton John has performed here. Many of these visitors built castles and towns resulting in European-style walled cities where you can live in a home built hundreds of years ago. A definite plus is the purchasing power you’ll enjoy. Minimum wage here is US$465 a month. My neighbor has a nice man who gardens for him. He’s a great guy who works hard, and I like his work. He charges about US$23 a day. Food, alcohol, clothes, shoes, and any handmade item, costs around one-third of what you would expect to pay in the States. I just pulled out a 5-liter box of South African wine from my cabinet, which cost me US$9. After traveling around the island a bit, I settled on the tranquil little village of Boğaz (pronounced Boaz). Real estate prices are a bit lower in this area, but I can’t tell you specifically why. It’s a pretty spot that hasn’t really been discovered yet. The heart of the village is the harbor where little fishing boats bring their fresh catch to sell to the restaurants only steps away. Chances are your dinner was still swimming just this morning. Here’s a tip for you: When you’re in a local restaurant, order a meze. This is a selection of small dishes usually served at the start of a meal. The waiter will arrive with perhaps six or eight little tastes. This allows everyone at the table to share. The signature local cheese is called hellim, and it’ll be included with your meal. It’s a mixture of sheep and goat milk, which is fried and served warm. I like it so much I buy it at the supermarket and cook it for my guests. Real estate prices in Northern Cyprus run between a quarter to half of what you would pay elsewhere in the Mediterranean. My first place was a two-bedroom, two-bathroom apartment located about 50 meters from the sea. I paid 42,000 pounds (approximately US$56,322) for this apartment nearly two and a half years ago. Note that all real estate in Northern Cyprus is priced in pounds. The dollar is quite strong now, so that’s good news for those with U.S. currency to spend. Although some are looking for real estate investments in this area, that isn’t why I bought my home. I came here to live. The view from my balcony is one of the great pleasures of life I now get to enjoy. As I write this, my unit is rented to a Russian family for two months. It has been easy to keep it rented during high season, but you can expect low occupancy from January until April. I plan to sell my apartment after August and use the proceeds to build a modest villa. Because this is also a vacation rental, I have made a short video to share with those interested in coming to visit. This will help you see what you can purchase in this price bracket. You can view my video here. Currently only one similar apartment is available, and it’s listed for 64,950 pounds (US$87,100). This 10-year-old apartment offers sea views, a sandy beach just 50 meters away, three pools with poolside restaurant and bar, gym, and more amenities nearby. It comes fully furnished with air conditioning throughout. Decent, single family villas built to Western standards start at around 60,000 pounds (US$80,461) in Boğaz. They typically feature two or three bedrooms. However, you can get a nice apartment in Boğaz for 30,000 pounds (US$40,230). 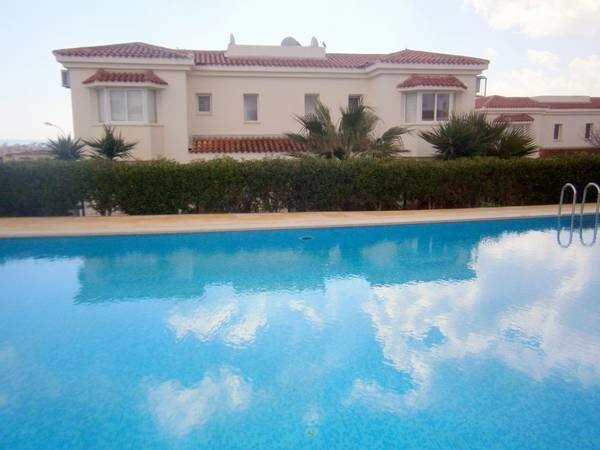 These units include communal pools, furnishings, 240v current, and are within walking distance to the sea. These complexes are normally built to U.K. standards, which is to say they are built well. 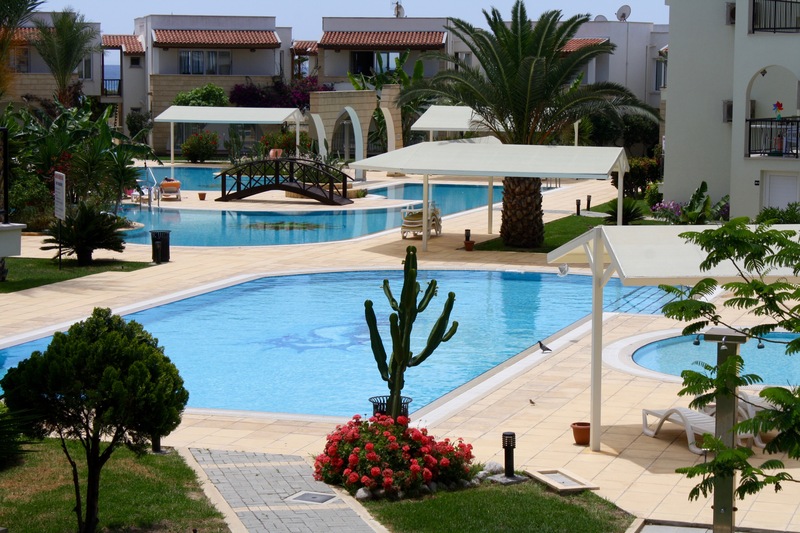 A recent local article explained how Kyrenia property prices are skyrocketing. 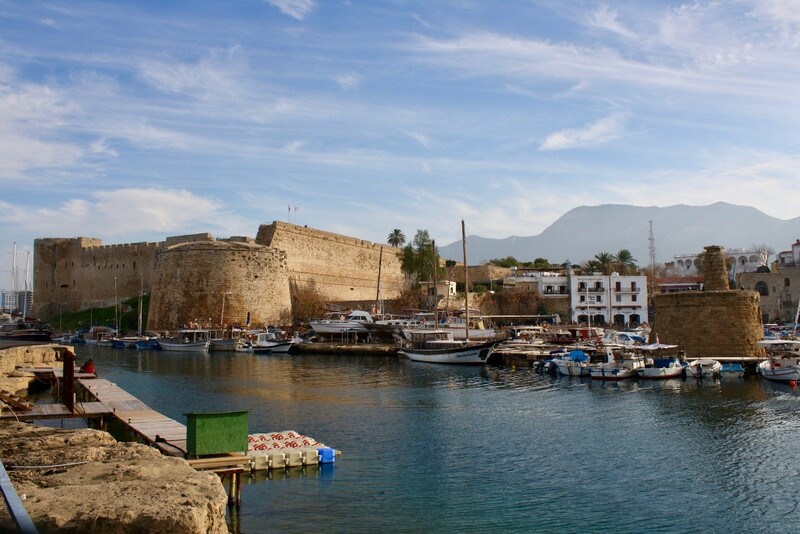 Kyrenia, one of the cultural and economic centers, is described as the tourist capital of Northern Cyprus. The story claimed that the city development (zoning) plan, which controls property construction in Kyrenia and nearby Çatalköy, and the intense demand from buyers abroad have pushed real estate prices in Kyrenia through the roof. For example, two-bedroom apartments now cost an average of 75,000 pounds (US$100,576) up from 45,000 pounds (US$60,345) and the price of a plot which used to cost 100,000 pounds (US$134,102) now costs 300,000 to 400,000 pounds (US$402,300 to US$536,400). Apparently the price increases have not affected the interest of overseas investors who are still keeping their eye firmly on Kyrenia. Despite the recent increase, the real estate prices in Northern Cyprus are still cheaper than Turkey. For investment purposes, these units are normally rented on the short-term, holiday market. You can find local rental management companies and, of course Airbnb is also an alternative. The management companies will take care of marketing, maintenance, cleaning. Airbnb is a clean-it-yourself operation. You can contact my recommended real estate agent here. The owner is from the U.K. and runs her business to high standards. I talked with several other agents, but I respect and fully trust this company. To be honest, I don’t really miss America. I am proud to be an American and support my home country, but I would not trade my life here for life back in the States. 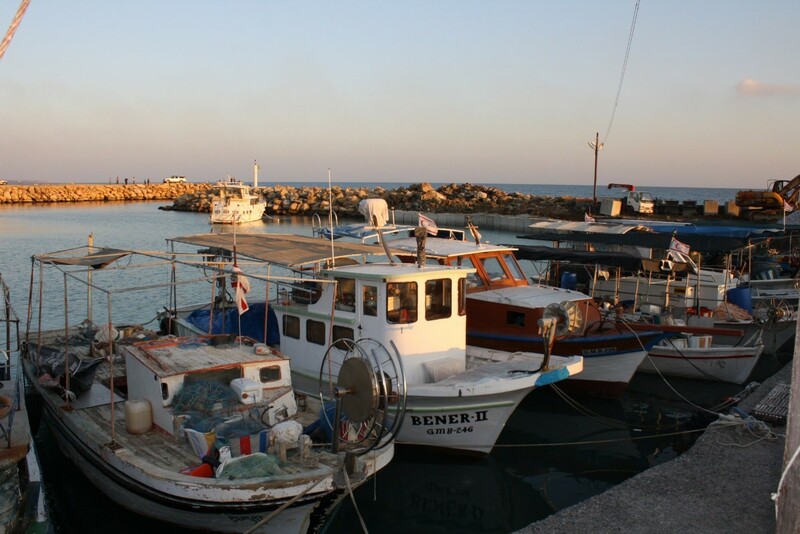 Buying a home in Northern Cyprus was a good decision for me, and I’m glad I made it.